What Do Blood Clots Have to Do with Alzheimer’s Prevention? What Do Blood Clots Have to Do with Alzheimer’s Prevention? Veins and arteries are like one-way streets. Arteries transport oxygenated blood from the heart to the tissues throughout the body, and veins carry the blood to the lungs to be oxygenated–and then back to the heart. Although DVT’s are in the veins, and NOT in the arteries, recent studies have shown that having a deep vein thrombosis may put a person at higher risk for heart attack or stroke in the first year after diagnosis of a DVT, according to Danish researchers. The Danish study, published in The Lancet, involved over 200,000 adults aged 40 and older; 26,000 study participants were DVT patients and 17,000 who had been diagnosed with pulmonary embolism-the remaining participants had no history of DVT or embolism. Participants were followed for up to 20 years. For DVT and pulmonary embolism patients, that period began when they left the hospital after treatment. -Heart attacks and strokes were noted at a 60% higher rate in the first year after a DVT or PE (compared to those who never had a DVT or PE). -Heart attacks were twice as common, and strokes were 3 times more prevalent in the first year after PE. -Over the 20 year span (after the first year), risks remained 20% to 40% higher than average. Common causes of DVT include, sitting for very long periods of time (such as on an airplane) causing the blood in the lower extremities to pool, or due to other types of long term inactivity such as after surgery. The blood begins to pool as a direct result of chronic inactivity, which can lead to thickening of the blood due to improper circulation–and subsequently lead to clotting. These clots are most likely to occur in the lower extremities, but they can also happen in the arms or other areas of the body. If the clot starts to move throughout the blood vessels, it could end up in the lungs—causing a life threatening pulmonary embolism. Simple movement exercises can help prevent dangerous blood clots. Avoid being immobile for extended periods of time. If you are on a long airplane trip, be sure to get up and walk around frequently during the flight whenever it’s safe to do so. Stop smoking, smoking raises your risk of clots because it interferes with normal blood circulation. Engage in frequent movements and stretches. Take short walks whenever you are able, particularly after surgery (even moving around in the bed and getting up and down helps). If you are unable to walk around, perform seated exercises every 30 minutes (5 to 10 reps) including, foot pumps, ankle circles, leg raises and shoulder rolls. If you are bedridden, do frequent stretches such as foot pumps, stretching your toes up and back, and flexing the feet and holding for a few seconds, then pointing the toes. Thigh stretches, stretch the hamstring muscle located on the back of the thigh by lifting legs up straight (one at a time) to a 90 degree angle with the body, then gently pull the leg forward and hold for 30 seconds. Once you have a clot, it’s vital to seek medical attention immediately. If you suspect a blood clot, avoid any type of exercise as that might potentiate the clot moving from the extremities to the lungs, where it could be fatal. The physician will prescribe a type of medication that will help treat blood clots called an anticoagulant. Anytime you implement an exercise program or increase your physical activity, it’s important to get your physicians okay first. The more you move, the lower your risk for DVT. After surgery or inactivity, once you are at a stage to be about to do more strenuous activities (with the doctor’s permission) your risks will be lower. 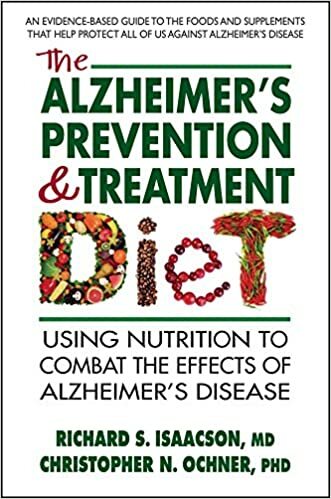 Learn more about Alzheimer’s risks and Alzheimer’s prevention by clicking here to view the book, The Alzheimer’s Treatment & Prevention Diet book, written by Dr. Richard Isaacson, Harvard trained neurologist. » What is Aromatherapy and How Can it Help Alzheimer’s Disease?